As a general rule, I recommend keeping your sleep environment as dark as possible prior to and while sleeping. In our home, we reserve the last 15 minutes of the day to meditating in a near dark state. After we’re done, we roll into bed and fall fast asleep. Not only is this a relaxing way to unwind at the end of the day, but it’s also a scientifically validated means of boosting endogenous (internal) melatonin production. Meditation is, without a doubt, the best way to encourage your pineal gland to excrete more melatonin. Several studies have found that regular and short term meditators have higher nocturnal melatonin levels than those who do not engage in a daily meditative practice. The ramifications of this may be more expansive then you’d imagine. 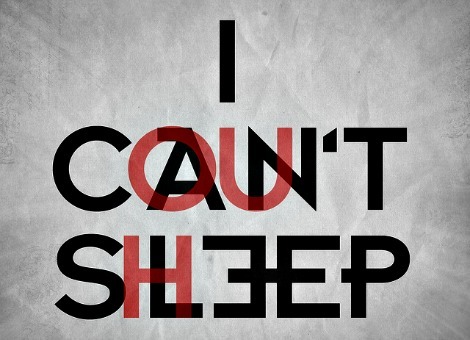 The role of melatonin in the sleep process has been well established. However, what isn’t as well known is the fact that melatonin acts as a protective, systemic antioxidant. For this reason, it is being seriously investigated in conditions that are affected by oxidative stress, including cancer and heart disease. In addition to meditation, diaphragmatic breathing and yoga are other documented mind-body practices which elevate serum melatonin and generally enhance well being. In some studies, increases in antidepressant neurotransmitters, such as serotonin, have likewise been noted in yoga practitioners. The advantage that all of these mind-body approaches have over supplements and synthetic “sleeping pills” is that they employ mindfulness. Daily practice of deep breathing, meditation and/or yoga assists one to become more in tune with the body, emotions and surroundings. Instead of simply taking a pill and tuning out, you tune in and let go. You become more aware, but less attached to emotions, sensations and thoughts that often trouble your sleep. And, in doing so, you become empowered because you’re present, but not as reactive to the details of life. That’s why I recommend adopting sleep hygiene and mind-body exercises prior to resorting to other natural remedies, over the counter medications and pharmaceuticals. I think it’s also sensible to install the free downloadable software programme f.lux: software to make your life better This automatically reduces the brightness of your PC/LAPTOP monitor at dusk and restores full brightness in the morning. I still think we should limit the use of modern LED sources in the bedroom and before going to bed but this program may enable more melatonin secretion than would have been the case. I think it’s also possible that magnesium deficiency is implicated in reduced melatonin production. Dietary magnesium deficiency decreases plasma melatonin in rats although this is a rat study we know that when people restore magnesium status they find quality of sleep improves. It’s possible that in this study The effect of melatonin, magnesium, and zinc on primary insomnia in long-term care facility residents in Italythe actions of magnesium and zinc were complementing or indeed improving the amount of natural melatonin secretion. The free program seems like a wonderful idea. I appreciate you sharing it with us! I think that achieving optimal magnesium status is certainly worth considering for a wide array of conditions including poor sleep. Thus far, the research is somewhat slim but compelling. Indian J Physiol Pharmacol. 2014 Oct-Dec;58(4):395-9. Effect of mobile usage on serum melatonin levels among medical students. Exposure to extremely low frequency (ELF) electromagnetic radiations from mobile phones may affect the circadian rhythm of melatonin in mobile users. The study was designed with objective to evaluate the influence of mobile phone on circadian rhythm of melatonin and to find the association if any between the hours of mobile usage with serum melatonin levels. All the volunteers medical students using mobiles for > 2 hrs/day were included in high users group and volunteers who used mobile for ≤ 2 hrs where included in low users group. Both high and low users volunteers were sampled three times in the same day (Morning-3-4 am, Noon 1-2 pm, Evening-5-6 pm) for estimation of serum melatonin levels: Comparsion of sernum melatonin levels in high users and low users were done by Mann Whitney “U” Test. 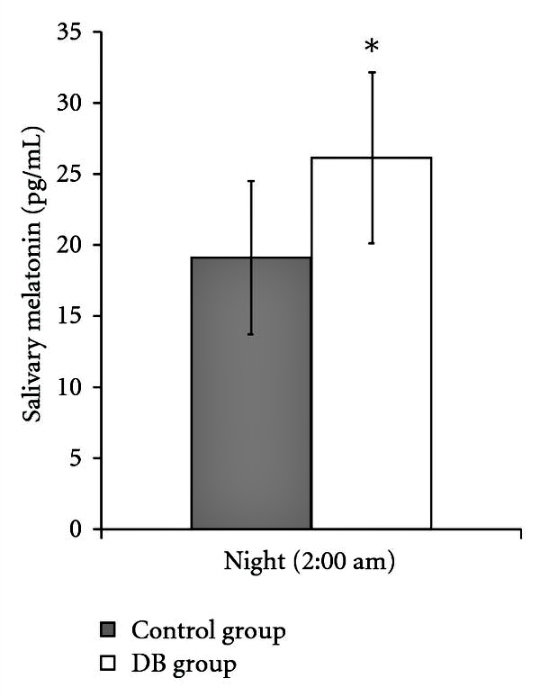 Reduced morning melatonin levels (3-4 am) was observed in high users (> 2 hrs/day) i.e high users had a disturbed melatonin circadian rhythm.There was a negative correlation between melatonin secretion and hours of mobile usages. Iran J Public Health. 2014 Oct;43(10):1405-16. The Effect of Melatonin on Climacteric Symptoms in Menopausal Women; A Double-Blind, Randomized Controlled, Clinical Trial. BACKGROUND: Menopause is one of the most critical periods of woman’s life. With reducing of ovarian estrogen; women are more prone to psychological and physical symptoms. The present study aimed to investigate the effect of melatonin on the climacteric symptoms. METHODS: The present double blind, placebo randomized controlled clinical trial was conducted on 240 menopausal women (40 – 60 years old) referring to the gynecology clinics of Shiraz University of Medical Sciences (January – November 2012). The participants were randomly divided into two groups through sortition. Demographic characteristics, Goldberg’s general health questionnaire (GHQ), Greene Climacteric Scale and level of Follicle Stimulating Hormone (FSH) were determined for both groups before the intervention. The intervention group received one 3mg melatonin tablet each night for 3 months and the control group received the placebo in the same period. Changes of climacteric symptoms and drug complications were measured 1, 2 and 3 months after the intervention. RESULTS: We analyzed the data of 99 postmenopausal women in the intervention group and 101 postmenopausal women in the control group. In the melatonin group, the climacteric symptoms score decreased from 35.73+11.6 to 17.09+10.22 during the 3-month study period and regardless of time, a significant difference was observed between the two groups (P<0.001). In addition, a significant difference was found between the two groups regarding various dimensions of the climacteric symptoms over time (P<0.001). No significant difference was found regarding side effects between the two groups (P= 0.135). CONCLUSION: The study findings showed that using melatonin improved the climacteric symptoms. Support Care Cancer. 2015 Aug 11. The effect of melatonin on sleep and quality of life in patients with advanced breast cancer. BACKGROUND: Fatigue and sleep problems are prevalent in cancer patients and can be associated with disruption of circadian rhythmicity. In this prospective phase II trial, we sought to assess the effect of melatonin on circadian biomarkers, sleep, and quality of life in breast cancer patients. METHODS: Thirty-two patients with metastatic breast cancer, receiving hormonal or trastuzumab therapy, took 5 mg of melatonin at bedtime for 2 months. Before starting and after 2 months on melatonin therapy, sleep and circadian rhythmicity were assessed by actigraphy, diurnal patterns of serum cortisol, and the expression of the core clock genes PER2 and BMAL1 in peripheral blood mononuclear cells. The European Organisation for Research and Treatment of Cancer (EORTC) QLQ-C30 questionnaire was completed for subjective parameters. RESULTS: Bedtime melatonin was associated with a significant improvement in a marker of objective sleep quality, sleep fragmentation and quantity, subjective sleep, fatigue severity, global quality of life, and social and cognitive functioning scales. Morning clock gene expression was increased following bedtime melatonin intake. Melatonin did not affect actigraphy measure of circadian rhythmicity, or the diurnal cortisol pattern. CONCLUSION: These results invite further investigation of melatonin as a potentially useful therapeutic agent for improving sleep and quality of life in cancer patients. PURPOSE OF REVIEW: Melatonin is a neuroendocrine hormone synthesized primarily by the pineal gland. Numerous studies have suggested that melatonin plays an important role in various cardiovascular diseases. In this article, recent progress regarding melatonin’s effects on cardiovascular diseases is reviewed. J Gerontol A Biol Sci Med Sci. 2016 Mar 1. Melatonin Secretion and Muscle Strength in Elderly Individuals: A Cross-Sectional Study of the HEIJO-KYO Cohort. BACKGROUND: Decreased muscle strength is associated with functional limitation and disability and is a predictor of cardiovascular and all-cause mortality. Recently, oxidative stress and inflammation have been shown to contribute to the loss of muscle strength, and although melatonin has antioxidative and anti-inflammatory properties, the association between melatonin secretion and muscle strength remains unclear. METHODS: In this cross-sectional study of 760 community-based elderly individuals (mean age, 71.0 years), we measured overnight urinary 6-sulfatoxymelatonin excretion (UME) and grip strength and quadriceps strength. RESULTS: Median UME was 7.0 μg (interquartile range, 4.2-11.1), and mean grip and quadriceps strength were 27.5±8.4kg and 162.6±80.1 Nm, respectively. On dividing participants into quartiles by their UME level (lowest-highest UME, Q1-Q4), higher quartiles were significantly associated with increased grip strength and quadriceps strength (p for trend < .001, both). Multivariable analyses adjusted for potential confounders (age, gender, body mass index, smoking and drinking statuses, renal function, hypertension, diabetes, physical activity, depressed mood, cognitive impairment, bedtime, sleep duration, and day length) revealed that both grip and quadriceps strength were significantly increased in Q4 compared with that in Q1 (adjusted mean difference, Q4 – Q1: grip strength, 1.5kg; 95% confidence interval [CI], 0.4-2.6kg; p = .006; quadriceps strength, 14.2 Nm; 95% CI, 1.3-27.1 Nm; p = .031). CONCLUSIONS: Melatonin secretion was significantly associated with muscle strength in this elderly population. Further longitudinal studies are needed to ascertain the effect of melatonin levels on muscle strength. Chronobiol Int. 2016 Jun 20:1-8. It has been recently discovered that blue wavelengths form the portion of the visible electromagnetic spectrum that most potently regulates circadian rhythm. We investigated the effect of blue light-blocking glasses in subjects with delayed sleep phase disorder (DSPD). This open-label trial was conducted over 4 consecutive weeks. The DSPD patients were instructed to wear blue light-blocking amber glasses from 21:00 p.m. to bedtime, every evening for 2 weeks. To ascertain the outcome of this intervention, we measured dim light melatonin onset (DLMO) and actigraphic sleep data at baseline and after the treatment. Nine consecutive DSPD patients participated in this study. Most subjects could complete the treatment with the exception of one patient who hoped for changing to drug therapy before the treatment was completed. The patients who used amber lens showed an advance of 78 min in DLMO value, although the change was not statistically significant (p = 0.145). Nevertheless, the sleep onset time measured by actigraph was advanced by 132 min after the treatment (p = 0.034). These data suggest that wearing amber lenses may be an effective and safe intervention for the patients with DSPD. These findings also warrant replication in a larger patient cohort with controlled observations. Int J Mol Sci. 2017 Apr 3;18(4). Melatonin Pharmacological Blood Levels Increase Total Antioxidant Capacity in Critically Ill Patients. In this study, the aim was to test the biochemical effects of melatonin supplementation in Intensive Care Unit (ICU) patients, since their blood levels are decreased. Sixty-four patients were enrolled in the study. From the evening of the 3rd ICU day, patients were randomized to receive oral melatonin (3 mg, group M) or placebo (group P) twice daily, at 20:00 and 24:00, until discharged. Blood was taken (at 00:00 and 14:00), on the 3rd ICU day to assess basal nocturnal melatonin values, and then during the treatment period on the 4th and 8th ICU days. Melatonin, total antioxidant capacity, and oxidative stress were evaluated in serum. Melatonin circadian rhythm before treatment was similar in the two groups, with a partial preservation of the cycle. Four hours from the 1st administration (4th ICU day, 00:00), melatonin levels increased to 2514 (982.3; 7148) pg·mL-1 in group M vs. 20.3 (14.7; 62.3) pg·mL-1 in group P (p < 0.001). After five treatment days (8th ICU day), melatonin absorption showed a repetitive trend in group M, while in group P nocturnal secretion (00:00) was impaired: 20 (11.5; 34.5) pg·mL-1 vs. 33.8 (25.0; 62.2) on the 3rd day (p = 0.029). Immediately from the beginning of treatment, the total antioxidant capacity was significantly higher in melatonin treated subjects at 00:00; a significant correlation was found between total antioxidant capacity and blood melatonin values (ρ = 0.328; p < 0.001). The proposed enteral administration protocol was adequate, even in the early phase, to enhance melatonin blood levels and to protect the patients from oxidative stress. The antioxidant effect of melatonin could play a meaningful role in the care and well-being of these patients. OBJECTIVE: This systematic review and meta-analysis of randomized controlled trials (RCTs) was carried out to determine the effect of melatonin supplementation on the inflammatory markers among individuals with metabolic syndrome (MetS) and related disorders. METHODS: We searched the following databases up to March 2018: PubMed, MEDLINE, EMBASE, Web of Science, and Cochrane Central Register of Controlled Trials. Three reviewers independently assessed study eligibility, extracted data, and evaluated risk of bias of included primary studies. Statistical heterogeneity was assessed using Cochran’s Q test and I-square (I2) statistic. Data were pooled using the random effect model and standardized mean difference (SMD) was considered as the summary effect size. RESULTS: Six trials of 317 potential reports were identified to be suitable for our meta-analysis. The pooled results using random effects model indicated that melatonin supplementation significantly reduced C-reactive protein (CRP) (SMD = - 1.80; 95% CI - 3.27, - 0.32; P = 0.01; I2: 95.2) and interleukin 6 (IL-6) concentrations (SMD = - 2.02; 95% CI - 3.57, - 0.47; P = 0.01; I2: 91.2) among patients with MetS and related disorders; however, it did not affect tumor necrosis factor-α (TNF-α) concentrations (SMD = - 1.87; 95% CI - 3.81, 0.07; P = 0.05; I2: 94.4). CONCLUSIONS: In summary, the current meta-analysis showed the promising effect of melatonin administration on reducing CRP and IL-6, but not TNF-α levels among patients with MetS and related disorders. Additional prospective studies are recommended using higher supplementation doses and longer intervention period. Melatonin, a pineal hormone synthesized at night, is critical for the synchronization of circadian and seasonal rhythms, being a key regulator of energy metabolism in many animal species. Although studies in humans are lacking, several reports, mainly on hibernating animals, demonstrate that melatonin supplementation and short photoperiod increase brown adipose tissue (BAT) mass. The present proof-of-concept study is the first, to our knowledge, to evaluate BAT in melatonin non-proficient patients (radiotherapy or surgical removal of pineal gland) before and after daily melatonin (3 mg) replacement for three months. All four studied patients presented increased BAT volume and activity measured by PET-MRI. We also found an improvement in total cholesterol and triglycerides blood levels, without significant effects on body weight, liver fat, HDL and LDL levels. Albeit not statistically significant, fasting insulin levels and HOMA-IR decreased in all four patients. In conclusion, the present results show that oral melatonin replacement increases BAT volume and activity and improves blood lipids levels in melatonin non-proficient patients, being suggested as a possible BAT activator. Future studies are warranted as hypomelatoninemia is usually present in aging and appears as a result of light-at-night exposure and/or the use of beta blocker drugs.